Over the years, the Crowley family has had to overcome certain challenges of having a son with epilepsy. 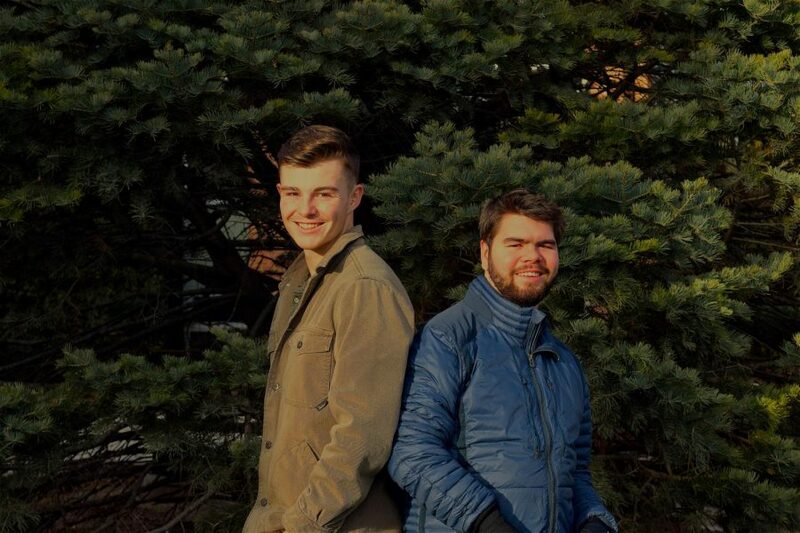 Despite this, brothers Aiden and Orion Crowley '18 have forged a special relationship that is stronger than words can express. After coming home from school, the first thing brothers Aiden and Orion Crowley ’18 do is go to the swing on their back porch. They’ll turn on the radio, enjoy the fresh air and just swing. Few words pass between them, but both smile just the same. They already know what the other is feeling. There is a feeling of love that connects them without words. Before Orion was born, a blood clot formed in his brain, causing a stroke. This led to him having epilepsy, a neurological condition that can cause spontaneous seizing. The seizures caused Orion extreme agitation and frustration, and when he was five, he had his first two brain surgeries. His third and final major brain surgery gave him some relief from the constant seizure activity and allowed him to begin sleeping through the night. It was then, at age seven, that he began to truly learn and develop. Orion’s seizures have always been one of the biggest challenges he and his family have had to face. Now at age 20, Orion and his family have learned how to handle his seizures. Though the Crowleys have become accustomed to Orion’s episodes over the years, it doesn’t make them any easier on their family. Along with his seizures, Orion has limited speech and mobility. He has had hand surgeries to keep his wrist and ligaments straight and also wears a brace on his right leg to help him walk. The left side of his brain is mostly unresponsive, but that doesn’t prevent him from communicating his emotions with his family. In fact, the difficulties Orion’s condition poses have strengthened the special bond Aiden and Orion share. According to the boys’ father, Bret Crowley, Aiden has felt a self-imposed obligation to Orion from a very young age. By the time Aiden was 12 years old, he had made around 20 trips to the Children’s Hospital of St. Paul, Minnesota where Orion was treated. “Aiden always went with us because we wanted our family to stay together no matter what. We knew that if we were to leave Aiden behind it would cause more issues than him being part of the process and we never thought twice about it,” Bret said. From time to time, Aiden will have to miss some events to take care of Orion, but says that he doesn’t feel like he’s really missing out. The Crowley family has had to face a lot of adversity but still manage to have fun— whether it’s family vacations to Colorado, annual trips to the Florida Panhandle or family walks. “We’ll put him in the stroller so he doesn’t have to worry about keeping up all the time, and he seems to really enjoy that. He’ll be smiling and giving us goofy faces,” Aiden said. Music has also been a big part of the boys’ lives. Whether it be at home or during time spent in the hospital, listening to music has been a favorite pastime together. Orion loves beats and enjoys headbanging to them. Their favorite band to listen to is U2, and it’s become a family tradition to go to their concerts. Bret and his wife Valerie went to their first U2 concert just four days before Orion was born in 1997. Since then, they have taken the boys to three other concerts. “It was a memory that we will never forget seeing Orion’s face light up when ‘Where The Streets Have No Name’ came on and watching him sing along,” Bret said. Though Orion’s family understands his condition, not everyone is as educated. Aiden has seen first hand the prejudices aimed towards Orion and others with disabilities. Although most people are accepting and understanding of Orion’s condition, some speak to him like he’s a small child even though he is twenty. Though not usually directed at Orion, “retarded” is a word that Aiden hears thrown around in society too often. “It doesn’t necessarily offend me because I understand most of them don’t really mean it, but I think it does hurt. I think it’s offensive because people use it as a term to say ‘they’re not as good’ [or] to put someone down. But it’s the actual term for some people, and I don’t think they’re below anyone else. If anything they’re just as good, if not better people than all of us. Anyone who has a mental disability is smart in their own way,” Aiden said. Aiden has benefited tremendously from his relationship with Orion, who has taught him numerous things and has helped to make him smarter as well. Aiden will carry everything he has learned from the relationships he has made into the future and eventually hopes to go into the medical field for nursing. But for now, he wants to stay in Iowa and keep Orion close. “I want to be the one there for him even when my parents are gone. I want to be the one taking care of him. They haven’t pressured me, but I’ve assumed that responsibility. That’s what I want to do,” Aiden said. When asked what he wishes he could say to Orion in a conversation without any restrictions on communication, Aiden only had one response.